This article was written by Carol Clark, senior science communicator at Emory University and editor of eScience Commons. Top photo: The labs of Georgia Tech's Muhannad Bakir (far left) and Emory's Samuel Sober (far right) combined forces for the project. 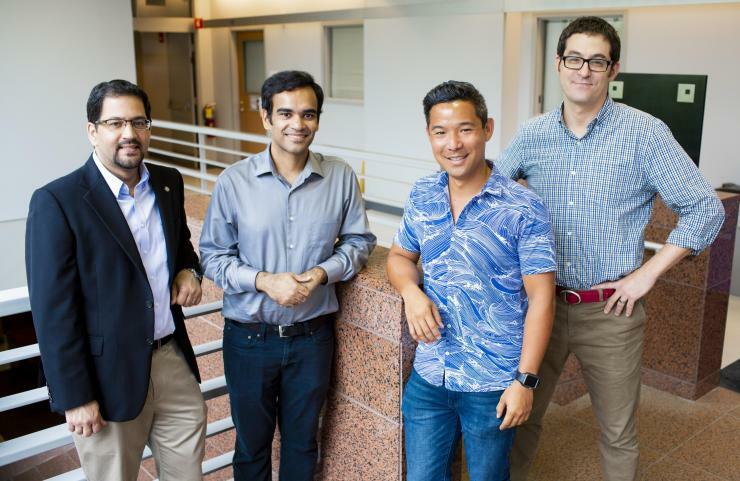 The work will be led by post-doctoral fellows in their labs, Georgia Tech's Muneeb Zia (center left) and Emory's Bryce Chung (center right). Photos by Ann Watson, Emory Photo/Video. 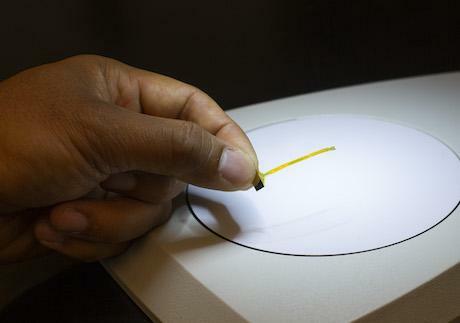 Second photo: A prototype of the proposed device has 16 electrodes that can record data from a single muscle. The McKnight Award will allow the researchers to scale up to a device with more than 1,000 electrodes that can record from 10 or more muscles.